The below two pictures came from André Chenette ( Quebec, Canada.) Thank you André. 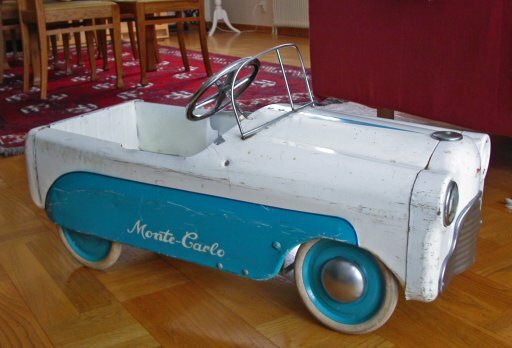 He owned this pedal car since he received it for Christmas in 1963. The left picture is one in Christmas 1963 and the right one in 2009. 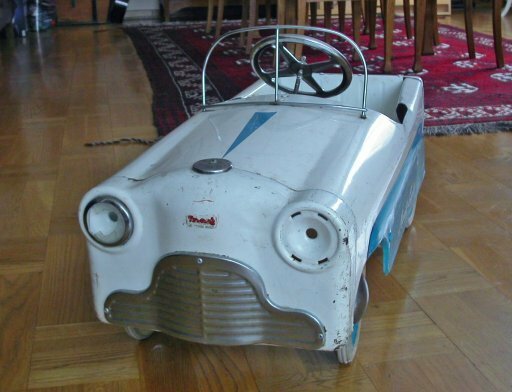 The Tri-ang Triumph pedal car was only made in 1962. There were two versions. Herald "A" and "B". 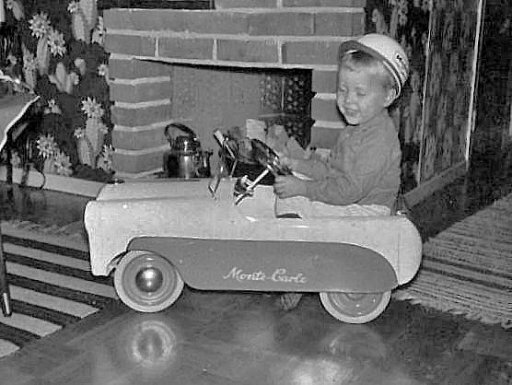 The Herald "B" had electric lights . Remarkable is that the front has "Triumph" stamped into the bonnet.